Classic and contemporary wooden and metal headboards for almost any size of bed bringing style to your bedroom. We sell wood and ornate and modern metal headboards in single, double, kingsize, superking and Euroking sizes and are Cotswold Caners stockists. 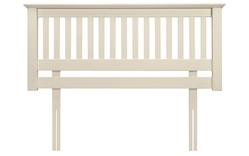 Luxury solid wood headboards in oak, mahogany, painted white gloss, cherry wood and natural ash. 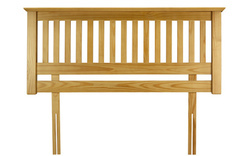 Buy online or directly from our Glasgow showroom at great prices. We deliver throughout the UK including to London, Edinburgh, Manchester, Birmingham, Liverpool, Newcastle, Cardiff, Glasgow, Aberdeen, Kent, Surrey, Sussex, Suffolk, Hertfordshire, Bedfordshire, Buckinghamshire, Oxfordshire, Cambridgeshire, Lincolnshire, Wiltshire, Hampshire, Dorset, Devon and the South West, Cheshire, the Midlands, East Anglia and the North West.